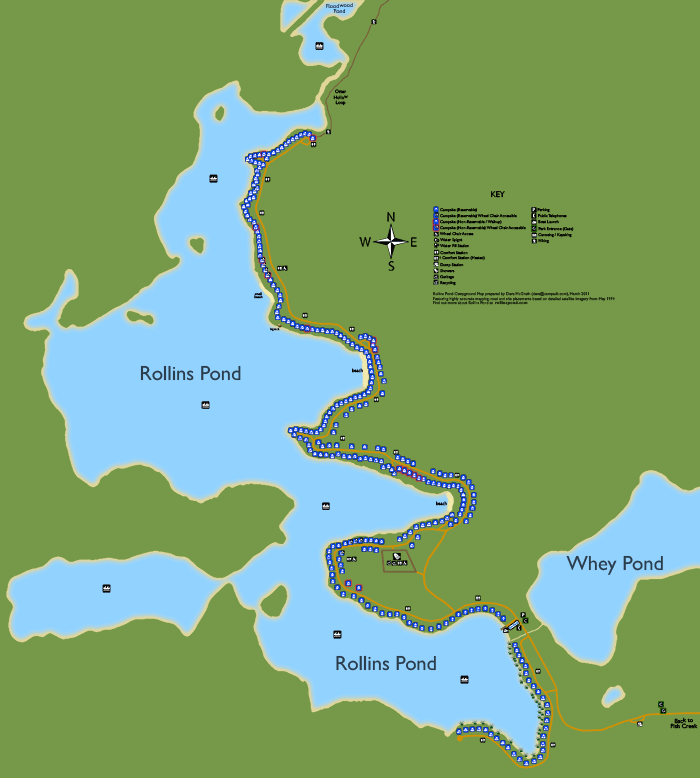 Welcome to the Ultimate Guide to Rollins Pond ! As the neighbour to Fish Creek Pond Campground, you will find a complete guide to Fish Creek/Rollins Pond on our sister website at fishcreekpond.com which includes an Intro to Rollins Pond as well as a full Rollins Pond Campsite Guide, complete with over 2,500 photos. With an average of 10 photos per campsite along with 27 detail items, you'll be sure to know exactly what each campsite has to offer. You may also visit each campsite via the Rollins Map Navigator. You can also join in on discusssion on the Rollins Pond Campers Forum.